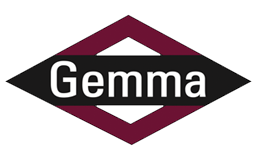 Gemma is ranked #15 on the top power contractors list and #182 overall. Click here to read the full article. ETEC’s Woodville Renewable Power Plant, completed last fall by Gemma Power Systems, is featured in an article in the January/February issue of Renewable Energy World Magazine. Dan Martin, Gemma President, is quoted in the article. Shale rules! That’s the lesson of the latest edition of Fortune Magazine’s annual list of public companies with the most stellar three-year profit, revenue, and stock growth. Learn about Gemma Power Systems role in the construction of CPV Sentinel Energy Project in Desert Hot Springs, California. In the not too distant past, power plants fueled by natural gas were considered a back-up, a source of electricity at peak times to support coal- and nuclear-generated supplies. Those times are quickly passing. Panda Power’s Liberty and Patriot projects being constructed by Gemma-Lane, a joint venture of Gemma Power Systems and Lane Construction are ranked second and third in the region. Read more from the 4/14/2014 issue of ENR: Engineering News Record. Gemma CEO Bill Griffin is interviewed in this article appearing in the 4/14/2014 issue of ENR: Engineering News Record.